The reliability of OTDR equipment is based on its measurement accuracy and ability to work autonomously. We want you to feel confident after your installation every cable has been placed accurately and that none were damaged during the installation process. 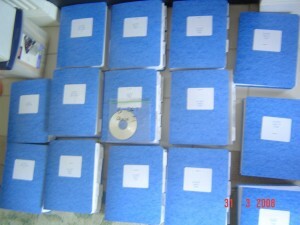 We offer (on request) a CD with the post-install OTDR report. We also use a FTTH test jumper to test each individual tap, and test them often. 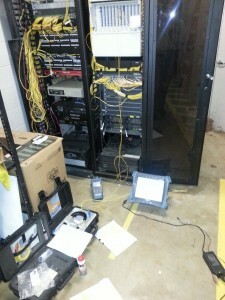 Our customers often remark that the documentation we’ve shown of our attention to detail through repeated testing was the reason they chose Connected Fiber to complete their fiber optic project. It’s very important to us not to waste your time with faulty installations or missed issues that require extensive troubleshooting to find. We identify potential and existing issues and address them quickly. We hope you’ll be impressed by the photos below, which will show you the thoroughness of our testing. 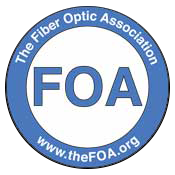 Contact us with any questions or to schedule a consultation for your own fiber-optic system setup today. 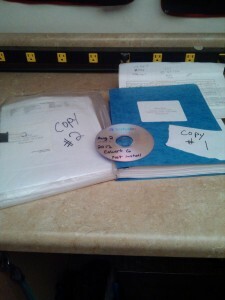 This was the documentation for our GA. Dot project on I-85 phase 1. Each book has tabs for each traffic control cabinets and the results include OTDR shots from each cabinet and OLT’s for each. 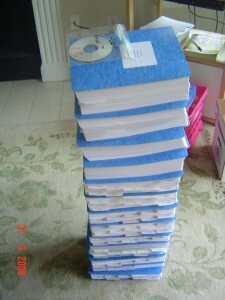 Our customer requested copies and a CD. This included all post placement for an entire run or phase. This phase may have included 12-15 laterals and 20 miles of backbone. After the post install, testing the splicing can take place. 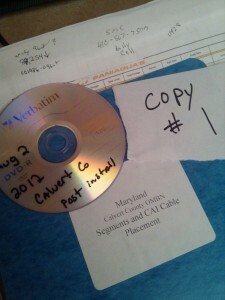 This photo shows Copy 1 of a requested pot install OTDR. On some systems it is required to test the fiber strands after the cable is placed to ensure no damage occurred during the placement of the cables. We were trying to prove ourselves over a competitor for an upcoming project. The customer said “OK, we see you know how to splice and seem to be familiar with most of the specs, but how about testing?” We showed them these photos and secured the job! 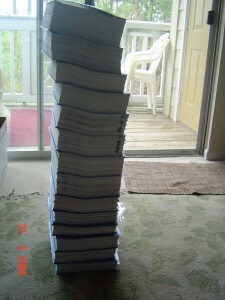 This was also documentation for our GA.DOT project on I-85 phase 1, however we were involved in the Kissimmee FLDOT project and Charlotte NC DOT project, each requesting similar results. We know the job doesn’t end until this is approved. 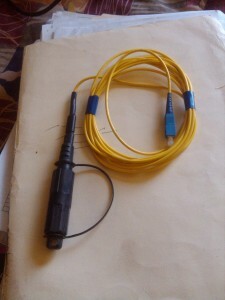 This is an example of a FTTH test jumper to test the individual taps. More specifically this one is an SC/UPC to an SC/Opti Tap, 3 meters long. We are performing AN OTDR test using a 1K test box. This helps us acquire the loss on a bi-directional test from post to port of the fiber under test. We are also using our EXFO 930’s for a bi-directional power meter test.